A supercar can typically be defined as one of the highest classes of cars and are considered to be the best cars on the market. Despite this, they often come in very limited quantities, which is exactly why they are so desirable. As well as being the fastest in the world, they offer high performance, the best sport handling and a distinct design style that leaves people spellbound. There is certainly a standard of exclusivity surrounding owning a supercar. This undeniable statu symbol is vastly due to its price; supercars can often cost hundreds of thousands of cards. The most expensive of all cars are supercars like the Audie R8, Lamborghini Murielango, Pagani Zonda, Ferarri GT and many more. The term supercar first caught on in 1920 when it was used by London newspaper The Times to describe the 6.7 litre Ensign 6 car. Not to be confused with supercars are hypercars. ‘Hypercar’ is a term used to qualify the top 1% of supercars. All hypercars are supercars, but not all supercars are considered to be hypercars. While a Ferrari 459 is a supercar, it doesn’t match the 1,200 horsepower of a Bugatti Veyron Super Sport Hypercar. To be a hypercar, a car has to meet all the characteristics of a supercar and then some, pushing the boundaries of performance, technology and design. With supercars increasingly becoming more advanced and better performing, what qualifies as a hypercar is becoming ever more elusive. If you are planning to drive a European supercar, particularly if it’s while you are in Europe, be sure to keep yourself as safe as possible. Applying for a European health insurance card will entitle you to treatment for free or at a reduced cost in all European Economic Area (EEA) countries. This includes all 27 countries in the European Union, including Norway, Iceland, France and Liechtenstein. Although the Geneva Auto Show showstopper is still a concept, it is nearing production slowly but surely. It’s sportier and smaller than its predecessors and much more technologically advanced. It’s estimated to come in at a mild $173,000. This slick machine made its first appearance at the Detroit Auto Show and is set for release in 2017. Stealing the show with its gorilla-glass windscreen and cutting edge tech, it is set to be more exclusive than the 2006 Ford GT. It’s estimated to read 0 to 60 miles per hour in 3 seconds and comes in at $400,000. Another model for 2017, the Bugatti Chiron is one of the most exotic supercars to date. Only a few are due to be made, each coming with a 16 cylinder engine and a whopping $2.6 million price tag. 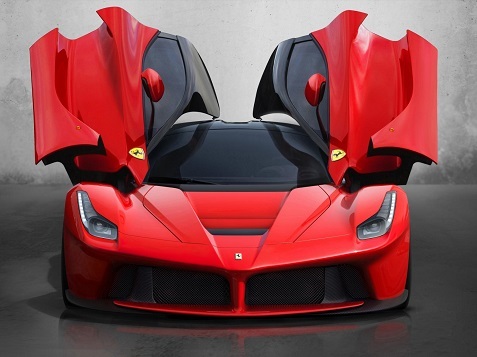 The Ferrari LaFerrari is the perfect combination of the Porsche and McLaren supercars. It has a 6.3 liter V12 engine and reaches 60 miles per hour in 2.5 seconds. Koenigsegg’s latest car in the Regera is more than ready to become part of the supercar crowd. It’s ridiculously fast (0 to 60 mph in 2.7 seconds) and has its LED daytime lights arranged in constellation patterns around the headlamps.